West Covina is a moderately small city situated in Los Angeles, California. With a population of 106,098 according to the census of 2010, it is the sixty-second populous city in California. The city has a lot of diversity in the entertainment sector and it has many facilities that makes life easy and comfortable. One of these facilities is the huge availability of dental care centers and dentists in the city. The city gives importance to all of the demands of its people and understands that dental problems are high among the mass and needs to be taken extra care of. Your teeth are one of the most important parts of your body- it holds unmatched significance for both your ingestion and the maintenance of your overall look. Despite this, sometimes we forget to take care of our teeth and hence have to suffer dire consequences. What do you do ifyou suddenly come down with a severe case of toothache? No matter how many times you gargle with warm saltwater, the pain won’t subside if it gets too serious. And in any such occasion where the pain gets out of hand, and starts to hit below the belt, the only person you can turn to is a dentist. Now, your personal dentist may not be available all the times- for cases like this, we have at your disposal, our very own, sufficiently resourceful and reliable emergency dental clinics. Montclair Dental Office is situated at 8660 Central Avenue Montclair, California 91763. Their dentists are highly qualified and trained to give you absolute relief from any kind of dental problems. They can provide care under the following categories: General Dentistry, Cosmetic Dentistry, Oral Surgery, Dental Implants, and Root Canal Treatment. They are always open for your calls and visits. Contact them at their number: 909-321-6224. 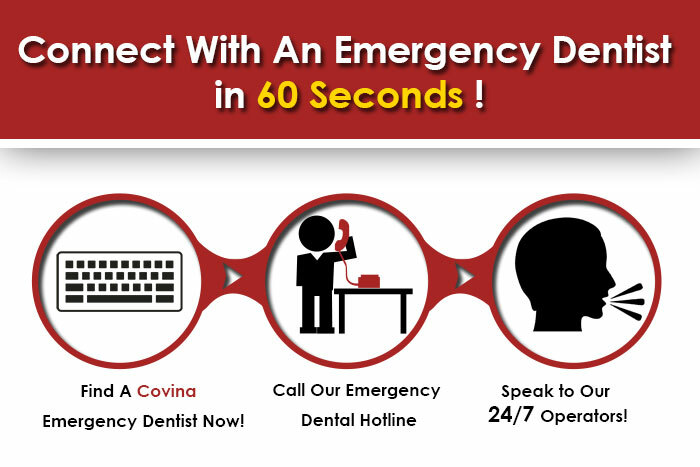 Smile Care is an emergency dental care clinic that is situated in 1215 West Covina, Parkway, CA 91790. They will be there for you for any kind of emergency, like chipped tooth, broken tooth, bleeding gums, etc. They also offer thorough cleaning and examination of your teeth, and they also do root canal operations. They have been around for a long time, and can be fully trusted with your dental problems because of the highly trained professionals they have. Call at (626)962-8911 for an appointment. They will make sure to give you the highest priority and the greatest care with your emergency. At College Street Family Dental, each patient is given the utmost importance and care so that they can leave the dental clinic with a smile on their faces. They can turn your frown upside down. Hand them your dental worries and relax. Call at +1626-498-2472 to set an appointment and get rid of your oral problems.